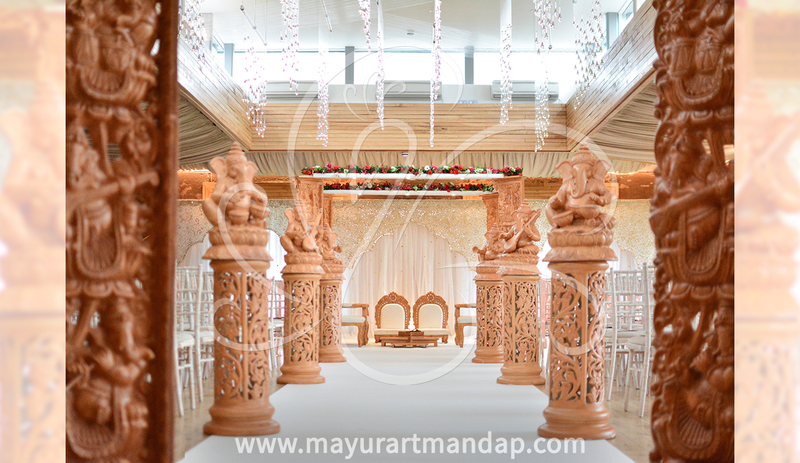 This mandap is a new take on our original and popular Sytel Ganesh mandap. It delivers a more contemporary feel but still carries the same intricacy and elegance. This mandap can be accompanied with fresh flowers although it looks just as effective on its own.